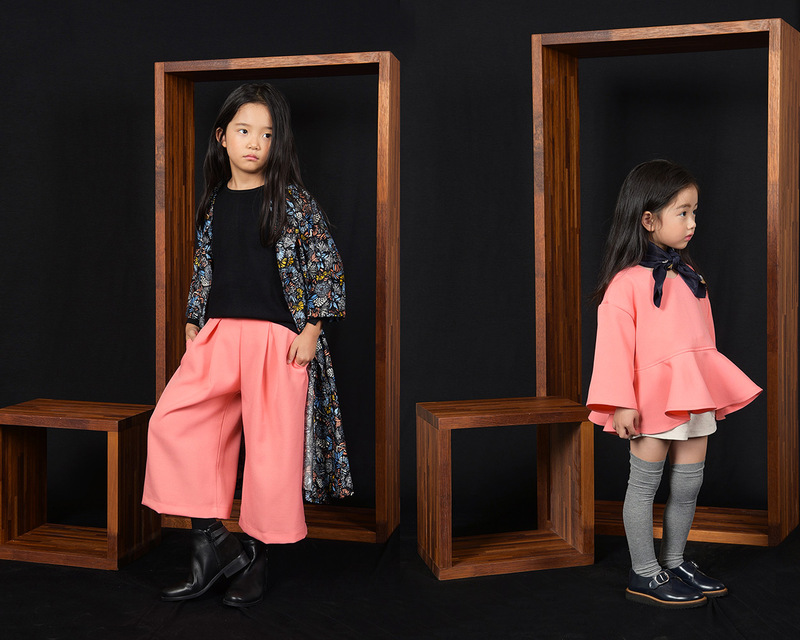 Seoul is one of the world’s fashion capitals so it’s no surprise that Korean childrenswear is nothing short of amazing! Across The Universe is an emerging brand which is less than a year old but is already making waves in Korea’s fashion bubble. 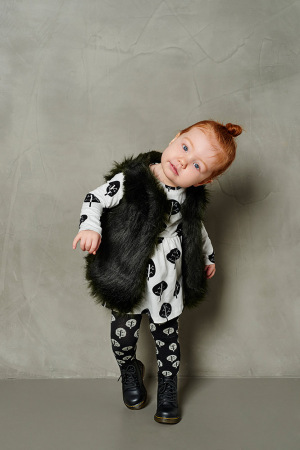 Its design is all about oversized fits, fun and trendy casual wear for ages 3-10! 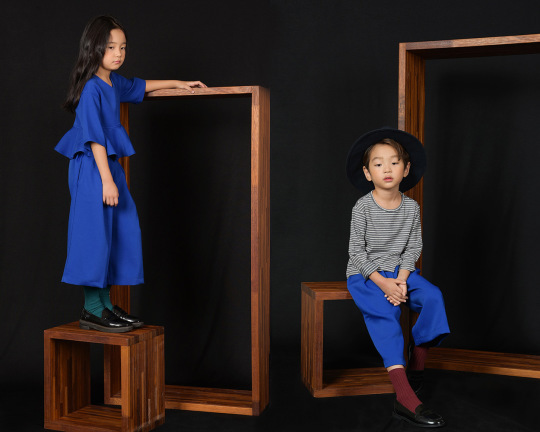 Romaine Coonghe from Junior Style sat down with Boram Cha, founder of Across The Universe, for the first of the Korean designer interview series. 1. How did you come to call your brand ACROSS THE UNIVERSE? Across The Universe is a song by the Beatles, which is widely known and loved by many. I felt the lyrics were sensitive and really spoke to me so I decided to name the brand after this song. 2. 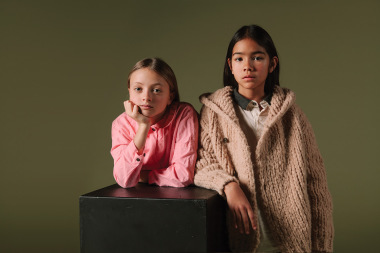 Can you tell us a little about yourself and how/why you became a designer for children’s wear? For 10 years I worked as a Visual Marketing Director. Although I have a lot of experience working with specialty stores and retailers of private-label apparel, I wanted to create something on my own from start to finish. 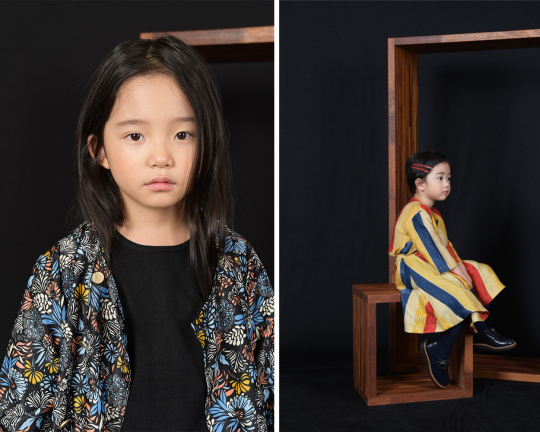 I considered many ideas but in the end, I decided on children’s wear because I didn’t feel that there were brands that really stood out (in Korea), even though the kid’s market is huge. I wanted to be able to create and offer special clothes for my kids. 3. What is your personal favourite collection of yours or piece that you have designed thus far? Why? My personal favourite is the 2015 Winter collection. I feel that the intentions of my designs were best portrayed in this collection. There was a long dress in this collection with a subtle pattern that received a lot of love which become a signature item for Across The Universe! 4. Across the Universe has been receiving a lot of recognition and attention in the industry. As a new brand, how do you get your name out there? I think that up until now, the fit of my designs as well as the colours were nonexistent in the kids market (in Korea), so I think this contributed to the success of the brand. It hasn’t even been a year since the launch of the brand but we received a lot of interest and support which I am so grateful for. I think Instagram was definitely a big factor in getting our name out there. We are currently in 2 brick and mortar stores and 8 online retailers. We also do pop up stores locally. 5. Where do you find inspiration for your designs? I get inspired from really a variety of things. I try to reflect global trends and have a close knit group of friends in the fashion industry and we chat and inspire each other. 6. Who is your style icon? 7. What are some important things you consider when you are designing for children? The most important factor is the fit. Children need to feel comfortable wearing the clothes but while maintaining a trendy silhouette. That’s what I aim for. After that, colour and fabric. I try to use a variety of materials. 8. Where do you see your brand in the next few years? The goal is to expand internationally. I want to introduce our designs to a global audience. And, of course have a Flagship store here in Korea. 9. Is Across The Universe available internationally? Where can our Junior Style audience find and purchase your designs? We are currently in China’s market. Other international customers are able to take a look at our website and purchase via bank transfer (in KRW) . We are also in contact with some people in the US at the moment and hopefully things will work out soon so that we can meet our US audience! The FW 16/17 season’s concept is ‘Oriental Chic’ and the focus is around subtle floral prints with East Asian influences and thick, polished fabrics for a luxurious vibe.